Most communication today is done by email, with an estimated 269 billion emails sent per day. With its continually increasing presence, a consistent email signature has become an important part of your corporate identity. When relying on your employees to create their own signatures you risk compromising the professional image of your company. 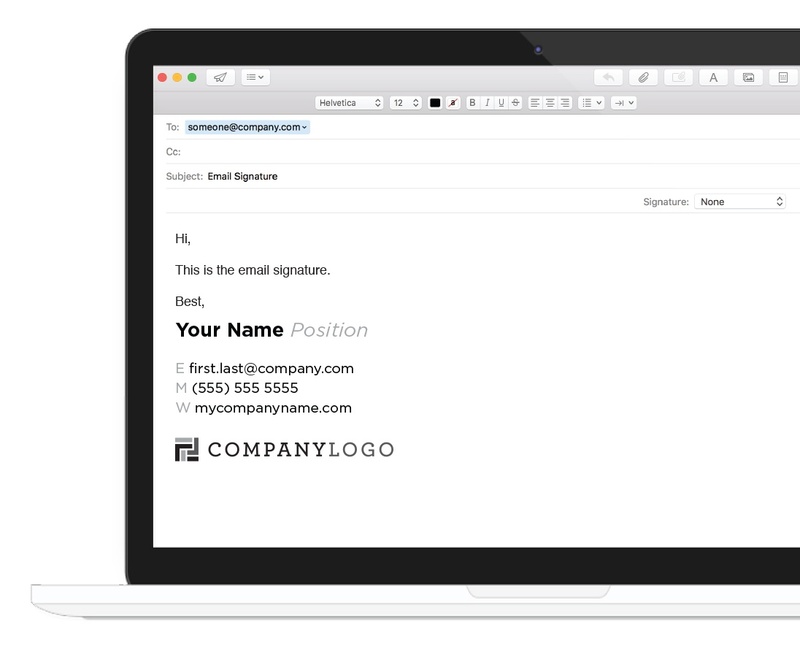 Consistent signature formatting makes it easy for recipients to locate important contact information within your organization. A uniform signature can help receivers of your correspondence distinguish a legitimate email from a malicious email. Standard signatures promote instant brand recognition and conveys professionalism. Email signatures act as a social networking tool, much like a business card. An email disclaimer can be designed into your signature, rather than looking quite plain by itself. Promotional banners can be added to share special offers or upcoming events, giving your marketing activities a boost. Typically, the following pieces of information are included in a professional email signature. Your technology integrator can implement your email signatures for you! Creating and implementing an email signature doesn’t have to be time-consuming. If you are using Office 365, using Exclaimer Cloud – Signatures for Office 365 means you won’t have to deal with difficult transport rules or worry if your signature doesn’t format correctly. Signatures for Office 365 lets you create full HTML email signatures that work on all devices, including Mac and mobiles. You can centrally manage all Office 365 users’ signatures from an easy-to-use web portal, which is designed for users of all technical abilities. At SeedSpark our mission is to spark growth in people and business, and we strive to provide solutions that meet the needs of your unique business. To learn more about implementing your own custom email signature, contact us at (704) 246-5052 and choose option 1. You can also shoot us an email at support@seedspark.com.